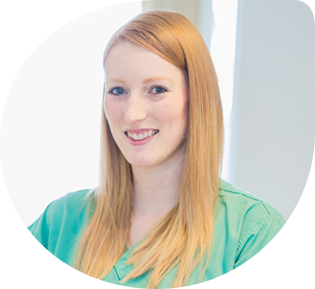 Corinne qualified from Leeds Dental Institute in 2012 with a Diploma in Dental Hygiene and Dental Therapy and joined Greenside Dental Care in 2014. She then gained a further qualification in dental tooth whitening. Corinne has a keen interest in children's dentistry and now sees all children at the practice for treatment on referral from the dentists. She also has Level 1 Sign Language. In her spare time she enjoys long walks with her dog, Dudley, and socialising with friends and family. Corinne also enjoys arts and craft and loves giving furniture a 'shabby chic' makeover.